Adorable little-printed dresses, soft cotton overalls, ikat button-down shirts, colourful fabric toys, and even a small range of clothes for moms… Indie Project Store takes care of all this and more. Started by a mother who was dissatisfied with what was available for children and took the reins to change the world of kids’ fashion, Indie Project Store is the ideal choice for parents looking to clothe their children in organic, comfortable cotton clothing that’s both fun and practical. Vibrant colours, sturdy fabric and clean tailoring make these clothes perfect for repeated use. 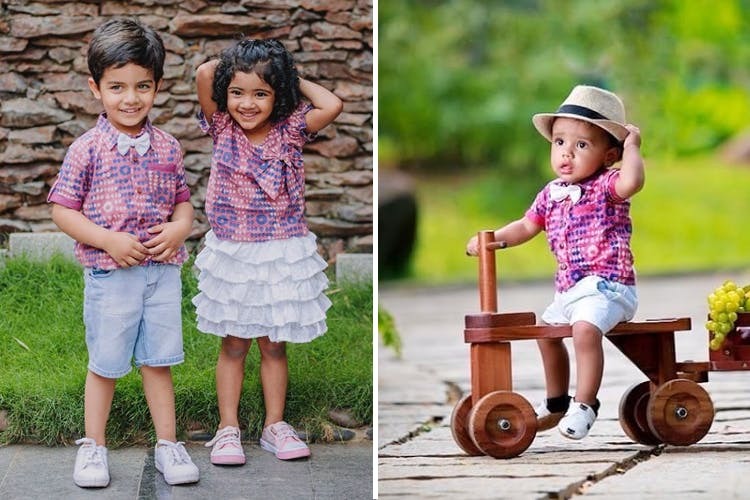 Choose from kalamkari (and other quintessentially Indian block print) dresses for girls, little ikat shorts for boys, darling onesies for babies, and other quirky prints sure to put a smile on your tot’s face. Little elephants, “horn ok please” lorries, vintage ambassadors, letters of the alphabet, and funky palm prints adorn most of these clothing, sure to evoke a sense of nostalgia about your own childhood. Indie Project Store serves as a platform for a number of brands – Vilvah, Shumee, Earthy Sapo, Essika, Ribbon Candy, Little Bum, etc. – so there’s no dearth of choice, whether for clothes, playthings, footwear or even some delectably fragrant baby soaps, massage oils and body butters.